Vive la France! The newest Bugatti to charm hypercar lovers and dreamers alike is a variation on the Chiron Sport called the 110 Ans, and has been emblazoned with Gallic pride. Well, perhaps not emblazoned. Maybe discreetly and tastefully represented would be a better way to put it—and, given the flag-like design of the rear wing, where it is most conspicuous— playfully represented into the bargain. The Sport model variant is an opportunity for Bugatti to call attention to their 110th anniversary; it was in 1909 that Ettore Bugatti, who had emigrated from his native Milan to Alsace, France, launched the company. The nationalist aspect of the cosmetic accenting loses a bit of steam when Bugatti’s home country is plugged into the equation—and also when one considers the fact that when Bugatti sold, it sold to VW, not Renault or PSA. But no matter, because it’s the company’s importance to the cultural tapestry of France that matters…well, that and the car itself. 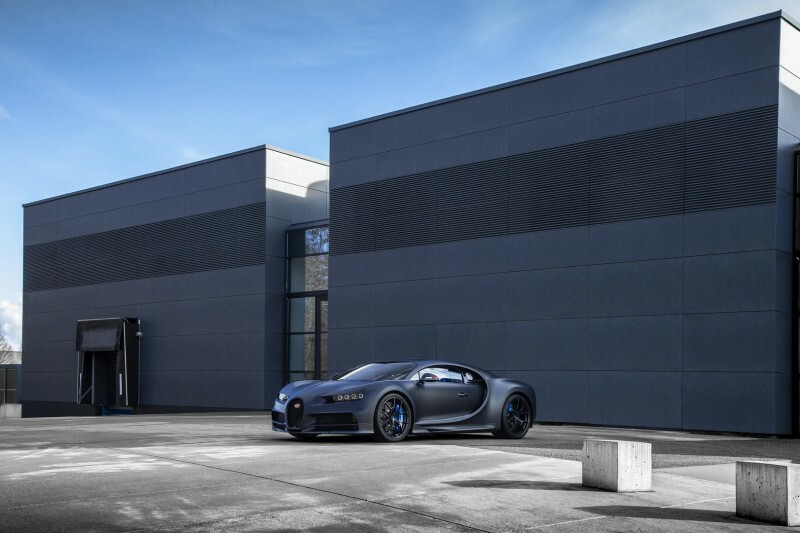 So, to that end, the 110 Ans Chiron Sport’s exterior is painted royal blue, with carbon fiber given a Steel Blue treatment. The tricolor reappears as an accent on the sport mirrors, and it is displayed prominently in the cabin as a racing stripe running up the seats. The brake calipers get a dusting of French Racing Blue for good measure. Black exterior and interior accents finish the color scheme, and the 110 Ans receives Bugatti’s nifty Sky View option as standard. Only 20 will be built.